The ICC hosts a weekly seisiún on Wednesday nights from 6:30 – 9:00 pm. 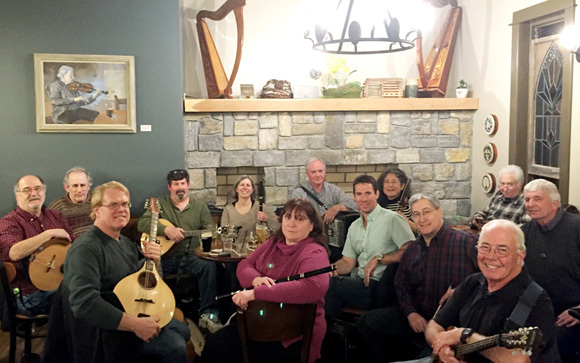 Join us in the Trinity Pub for traditional Irish music with well-known session musicians John Tabb, Ellen Redman and friends. Located at the Irish Cultural Center, 429 Morgan Road in West Springfield, MA. Reservations are strongly encouraged for dinner during this time – please call 413-342-4358.